Sitting on the southwest coast of England, Exmouth is a picturesque seaside resort in East Devon. It has a population of around 35,000 and some lovely property in the local area. At My Home Move Conveyancing we’ve been developing our knowledge of the housing market since 2001, allowing us to bring our clients in Exmouth a specialist, fixed fee conveyancing service that’s like no other. If you’re looking to buy or sell property in Exmouth, you’ll need to instruct property lawyers to carry out the legal work on your behalf. 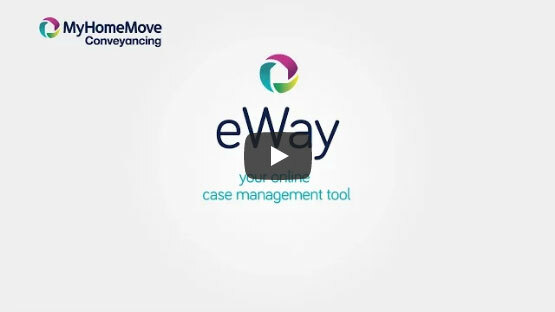 As your Exmouth conveyancers, My Home Move Conveyancing can bring you our award winning customer service, innovative use of technology and expertise of the local area. Our fixed fee conveyancing service comes without any hidden extra costs, so you can budget for exactly how much you’re going to pay from the outset. For added peace of mind, if you don’t end up moving for some reason, you won’t have to pay us a penny in legal fees. Each of our clients is assigned a dedicated conveyancer, who’ll look after your case from start to finish. We aim to simplify the legal process and keep you informed with clear, easy to understand communication. At My Home Move Conveyancing we supply our conveyancing services in Exmouth to customers across the local area, including for those looking for something close to the town centre, near the train station, with views out to the English Channel and in inland spots such as Withycombe Raleigh. The average house price in Devon is £243,852, while in Exmouth the overall average sale price during the past 12 months was £248,458. Most sales over this period involved flats, which went for an average of £193,957. Terraces fetched £221,258, while detached properties sold for £345,914. Sitting on the eastern bank of the mouth of the River Exe, Exmouth became popular as a holiday resort in the 18th century. Regarded as Devon’s oldest holiday destination, it was once a centre for high class tourism. Nowadays the modern town still has a lovely seaside atmosphere which you can enjoy along the Esplanade, along with plenty of amenities for the locals to take advantage of. Due to its position on the English southwest coast, Exmouth isn’t overly blessed with great transport links. It does have its own train station though, which can be used to get to places like Exeter, a journey that takes just under 40 minutes. The M5 motorway can be picked up from the city too, connecting Exmouth to the national road network and places such as Bristol to the north. There’s a range of primary schools in Exmouth for families with children to choose between, including Withycombe Raleigh CofE, The Beacon CofE and Bassetts Farm Primary. There’s just one secondary school in town, which is Exmouth Community College on Gipsy Lane, a specialist maths and computing academy. All properties in Exmouth will fall within one of the following council tax bands.